I work from home and my daily lunch usually consists of a sandwich and some fruit. Every now and then I like something a little different and an easy tasty salad fits the bill perfectly. 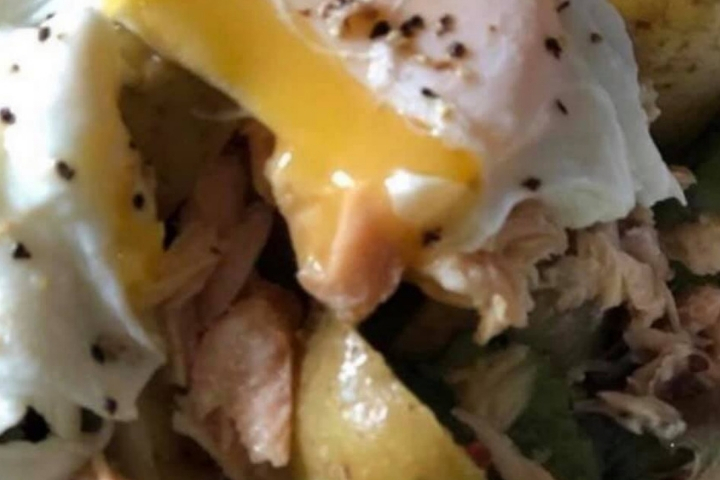 This salmon salad with new potatoes and a poached egg is also quick an easy lunch to make for all the family and also when guests come over. What I love about this salad is that it uis really easy to make. 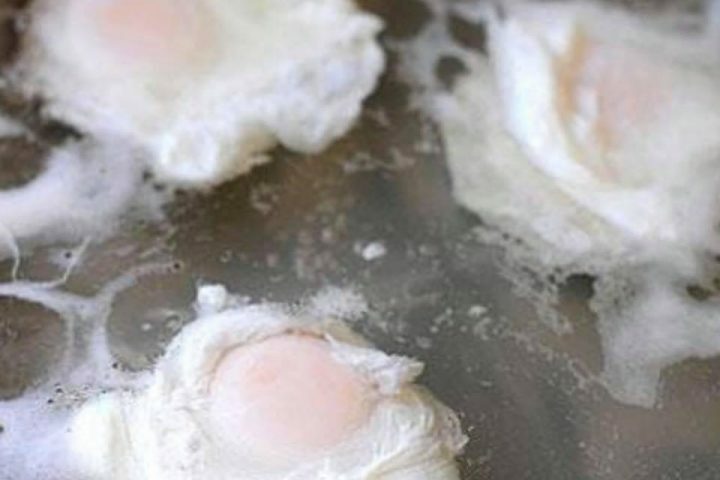 Although you have to poach an egg that really is quite simple when you know how! Start by slicing the new potatoes in to bite size pieces and cooking in some salted water. 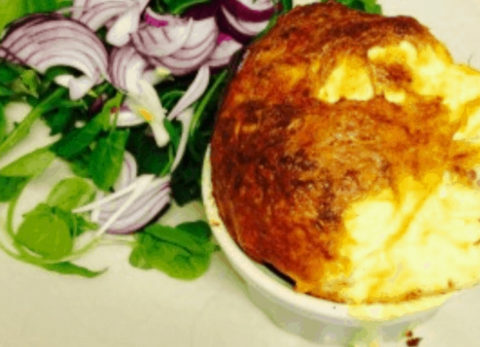 Whilst they are cooking, place salad leaves in a bowl with sliced red onion. When a knife will easily go in to the potatoes place them in a bowl of cold water to cool while you start to poach th eggs. To poach the eggs I use a large skillit pan half filled with boiling water. I add a pinch of salt and 2 tablespoons of white wine vinegar,while the water is coming to the boil drain the now cold potatos and plavce in the bowl and flake the salmon over the top. 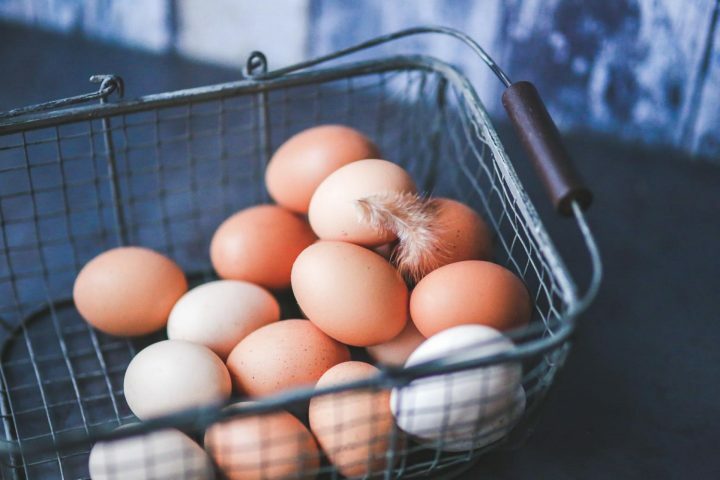 Break an egg in to a cup and carefully drop in to the boiling water. I cook up to 3 eggs in my skillet pan that in approx 30cm/12″ wide. If using a smaller pan I would only add 1 egg at a time. When the yolks have gone the colour of the picture below use a slotted spoon o carefully take them out of the water and place on kitchen towel to absorb any water. Place a poached egg on eat saladand sprinkle with salt and black pepper. This salad really is this simple but still super tasty! 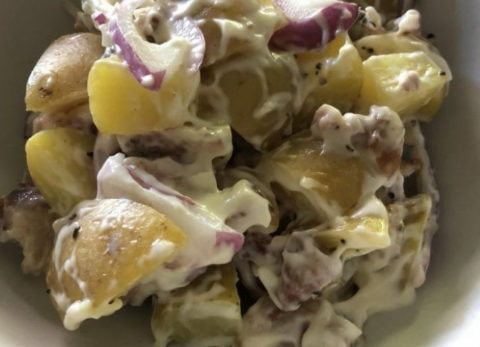 By not adding any dressing this salad will e perfect if you are following the Slimming World plan. If you want you can add a dressing to the salad but if you are on slimming world remember to syn whichever dressing you choose. A simple balsamic vinegar and olive dressing would not over power the taste.